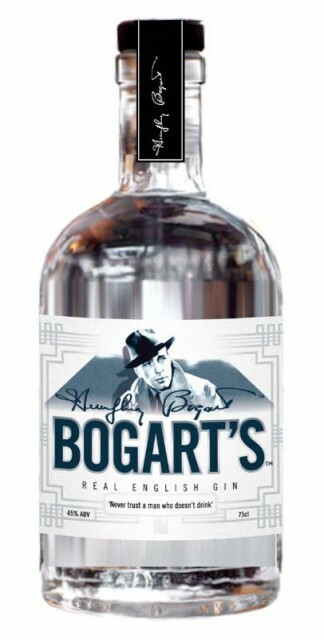 A gin dedicated to one of Hollywood’s biggest film icons is set to launch in the US and UK in association with the late Humphrey Bogart’s estate. Rok Drinks, the beverages division of ROK Stars PLC, co-founded by Patron Tequila magnate John Paul DeJoria and UK entrepreneur Jonathan Kendrick, announced the launch of its Bogart’s Real English Gin today. Humphrey Bogart began acting in 1921 and went onto become one of America’s great cultural icons making his breakthrough in 1941 starring as the lead in both High Sierra and The Maltese Faction, later appearing in films including The African Queen and Casablanca. Bogart was said to be a great lover of gin, making this partnership all the more authentic for his family who have lent their support to the project.